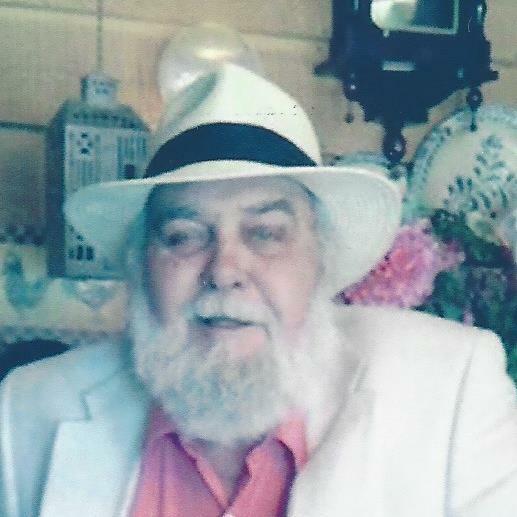 Funeral services will be 1:00 PM Tuesday at Jones Chapel Missionary Baptist Church for William Franklin “Pat” Patterson 74, of Ball Play, who passed away March 30, 2019. Rev. Lawrence Patterson and Rev. Steven Butler will officiate. Burial will follow at Jones Chapel Cemetery. Glencoe-Hokes Bluff Funeral Home & Cemetery is in charge of the services. He is preceded in death by his parents Travis “Benny” and Nettie Patterson, his brother Joel Patterson, his sisters, Jaunita McCullars and Bonnie Bishop, and his “wife-in-law” Patricia Bowlin. He is survived by his wife Karen Patterson, children Cassie Patterson, Mandi (Eddie) Elliott, Mindi “Pooh” Patterson, Nichole (Harley) Davidson, Jackie (Corey) Isom, Brandy (Brian) Stovall, Cassie (Kerry) Dodd, Anna (Brett) Norman, grandchildren; Caress (Paul) Wellingham, Kendall (James) Smith, Madelyn and Brenley Davidson, MaKenna McKee, Allie Blanton, Lexi Isom, Dani Jayde, Tripp amd Asher Stovall, Ava and Chloe Dodd, Javin and Kade Norman, Will, Haley Kate and Conner Wellingham and James Smith. Brothers; Carl, Rex, Ken and Ronnie Patterson. Sisters; Barbara Steed, Voncile Gowens, and sister-in-law Ruth (Ritchie) Leet, and numerous nieces and nephews. William graduated from Hokes Bluff High in 1963. He attended college at the University of Alabama, Auburn University, and Athens State. He retired from Peoples Telephone Company. Afterward, he taught Telecommunications at Gadsden state Community College and retired after serving as Dean of the Technical College in 2004. He served in the Army, National Guard from 1965-1971. He was a lifelong member of Jones Chapel Missionary Baptist Church. He was a willing and faithful servant of the Lord which called him to become a Deacon and Sunday school teacher. He loved his wife, children, and grandchildren with all his heart. They were the apple of his eye and made his life complete by being the husband, dad and Pop to his most favorite people. He enjoyed storytelling and a funny joke, good or bad. He loved to make people laugh because he loved to laugh; but above all else he loved his Lord and served him well. Pallbearers will be; Tommy Shields, Kerry Dodd, Brett Norman, Eddie Elliott, Harley Davidson, Corey Isom and Brian Stovall. The family wishes to thank Dr. Perry, Dr. Narayan, and Dr. Kwan along with the nurses and staff of Riverview ICU and the Ball Play Fire Department. In lieu of flowers, donations can be made to Jones Chapel Missionary Baptist Church in Piedmont, Al. (Ball Play). The family will receive friends from 6:00 PM to 8:00 Pm Monday night at the funeral home. The body will lie in state one hour prior to the service Tuesday at the church.